As someone who lived in Seattle for 5 years, Chicken Teriyaki is always the most convenient, affordable and delicious meal you can get in the Emerald City. 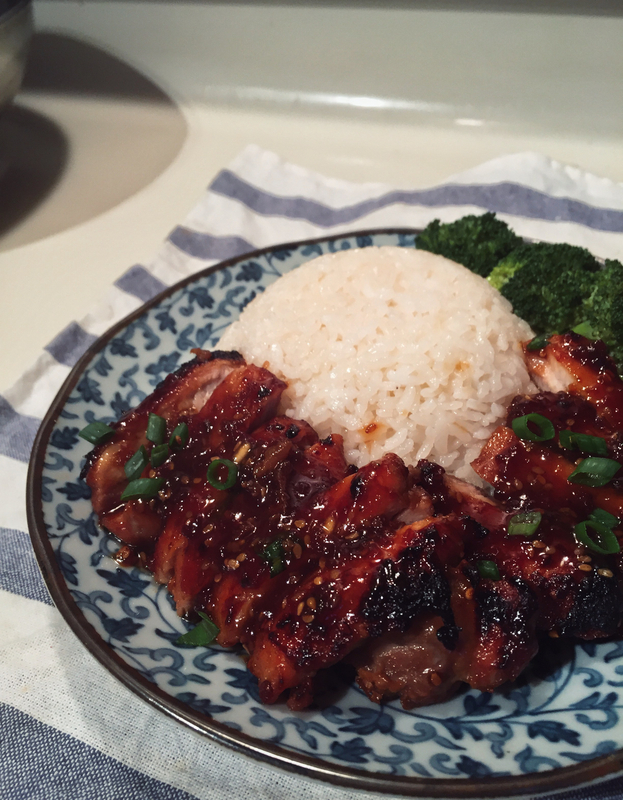 Invented in the Seattle by American Japanese and Koreans, the biggest difference between this Seattle favorite and the traditional Teriyaki is that instead of using mostly seafood and light sauce being brushed on, in Seattle, chicken thigh is often used, grilled and chared after marinating in a heavy sauce. This dish is easy to make and takes no time, this recipe serves 4. Mix the water, brown sugar, soy sauce, vinegar, garlic, ginger, and ground black pepper in a saucepan. Let the sauce simmer, then add the cornstarch, stir it frequently, until sauce thickens and bubbles. Heat up a non-stick pan, put some oil and heat it on high, brown the chicken thighs. This is a very simple and fast dish to make. Chicken thigh is a cheap cut and you can make this in large portions as a part of your next meal prep. It goes well with rice and almost any type of bread, but you can also wrap it in tortillas or lettuce. 1 tablespoon of sesame…. oil? seeds? paste?